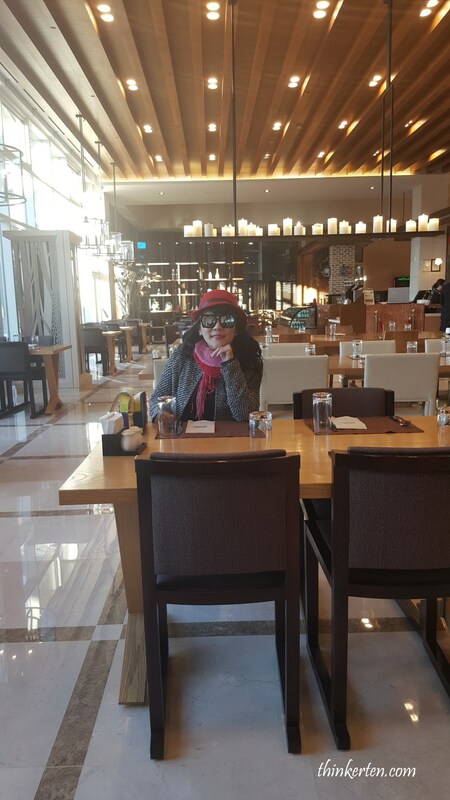 We had breakfast in Delpino Golf & Resort, the range of breakfast was fantastic. We could see beautiful mountain view from the restaurant where we had our breakfast too. Delpino is very big and it is located in the mountain, it is also very popular among the local tourists. There is a aqua world, a water theme park consisting indoor thermal water park with many kind of pools, hot and cold, whole body massage, bubble bath, massage spa and natural hot spring pool. 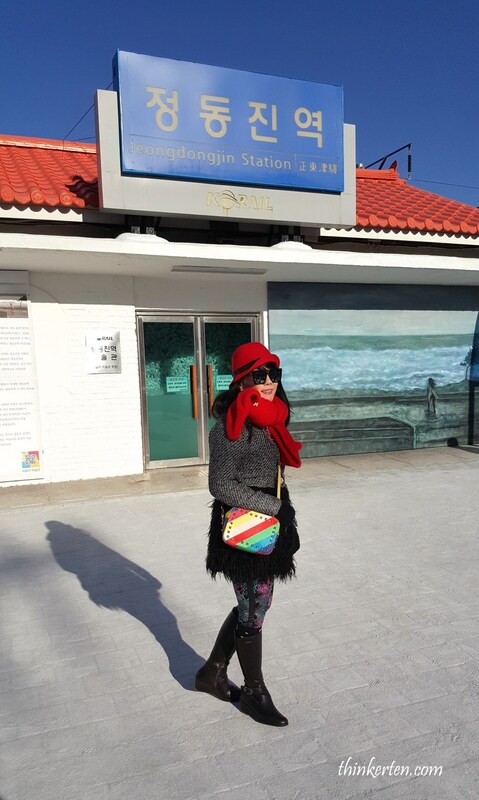 Like the one in Taiwan, we need to wear swimsuit and cap when entering the aqua world. Teddy bear museum located near the Delpino Golf & Resort, we walked to the museum and it was very windy that day. I remembered we were almost being blown away. 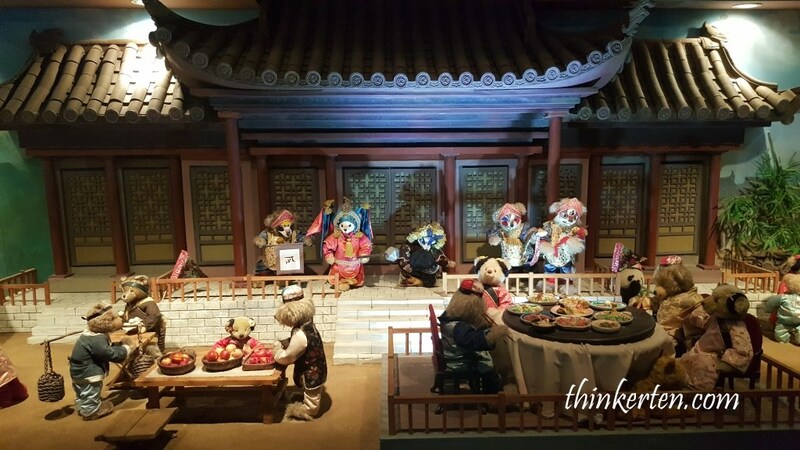 We get to see the teddy bears in all different theme and countries. It should be interesting for little kids under age of 10 years old. 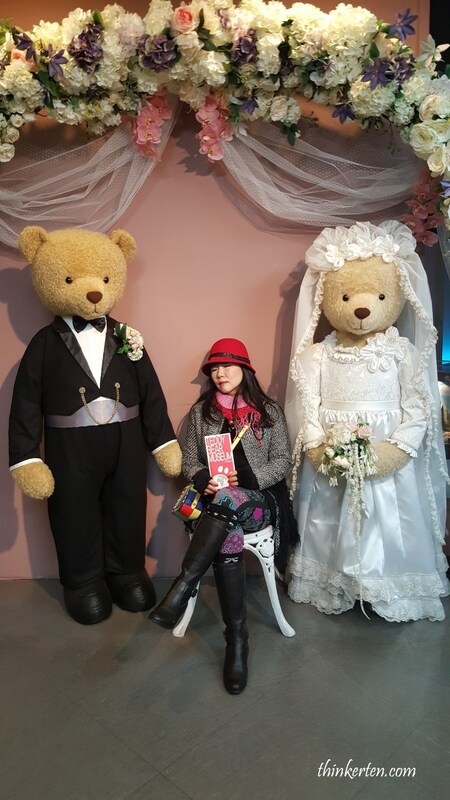 This was my first time to visit a teddy bear museum. 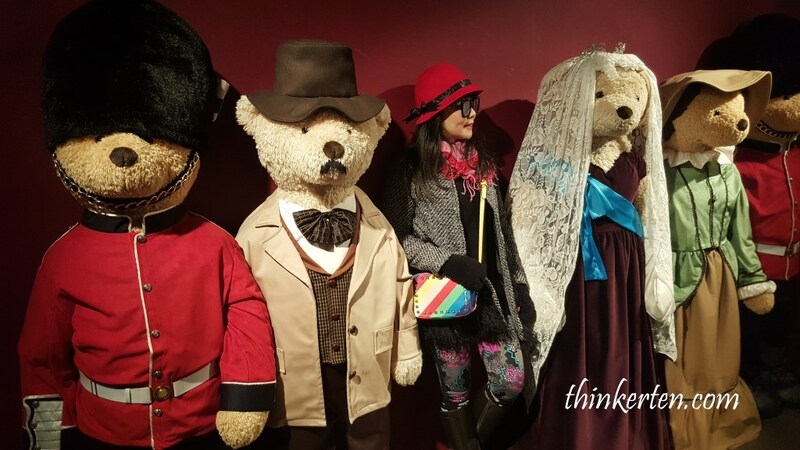 I know there are many teddy bear museum around the world. 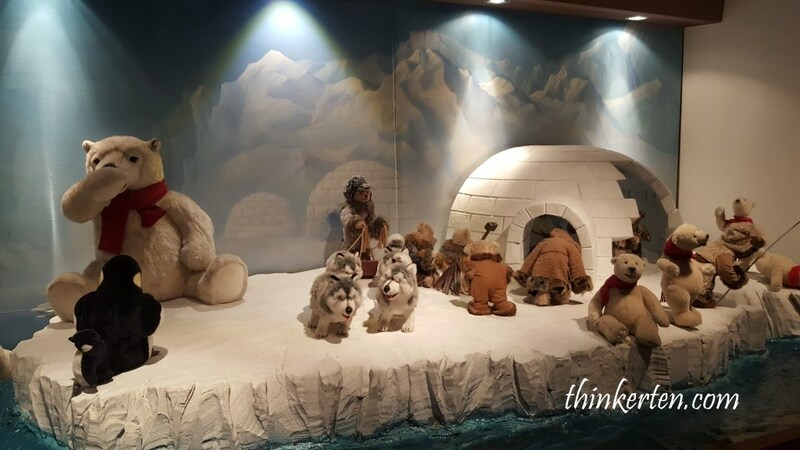 Some igloo theme teddy bear, we also get to see the world smallest teddy bear which there is a magnifying glasses to help you see clearly. 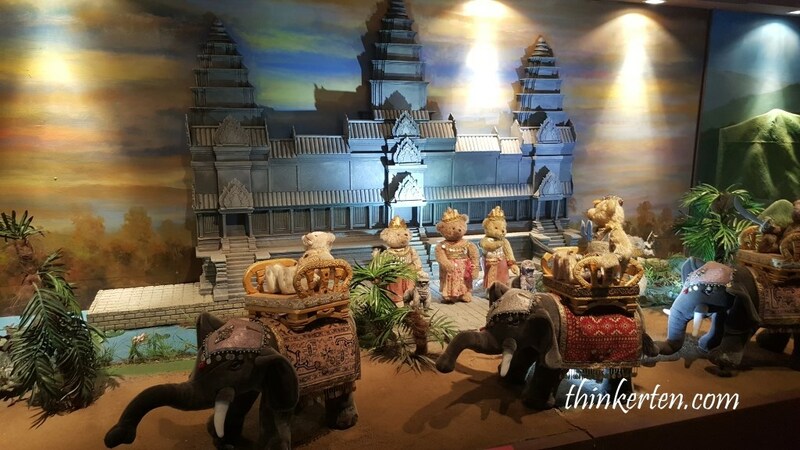 There is a gift shop near the exist, I was feeling a bit dizzy after seeing so many big and small teddy bears around the world wearing all kind of costumes. 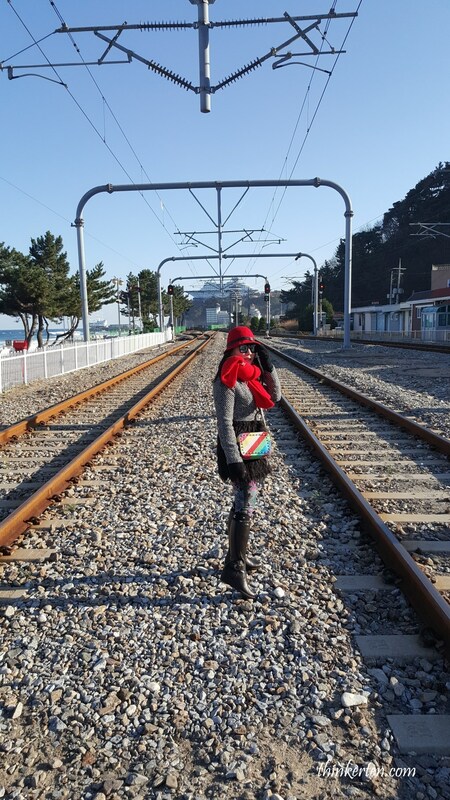 We then enjoyed the scenic coach ride to Seoraksan National Park, one of Korea’s most beautiful mountain areas. There is a cable car ride up to the summit of the mountain. We were lucky the weather allowed us to go up. 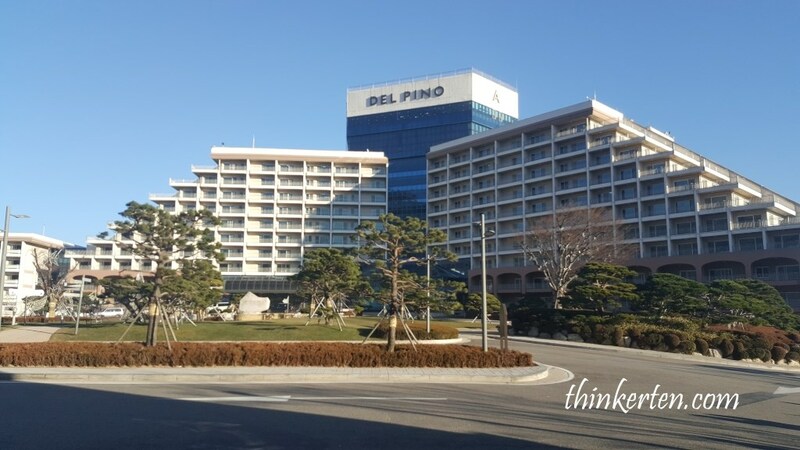 The mountain was named Seorak (‘Seol’ meaning ‘snow’ and ‘Ak’ meaning ‘big mountain’) because the snow would not melt for a long time keeping the rocks in a permanent state of white. It was pretty challenging to climb up the Mt Soerak, first, there is a long staircase to climb all the way up. That staircase part was not that tough because there is a handle for you to hold on. 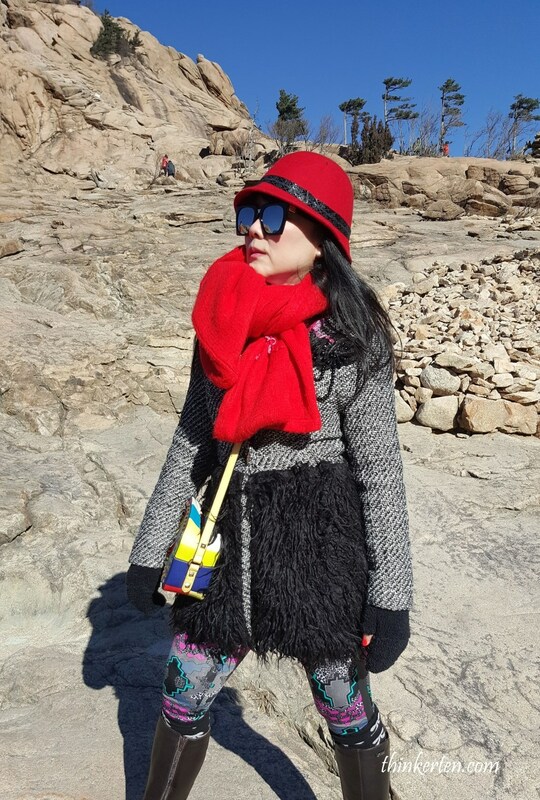 Once I were at the rocks area at the top of the mountain, it appeared to be more dangerous because I was pretty much on my own, nothing to hold on. 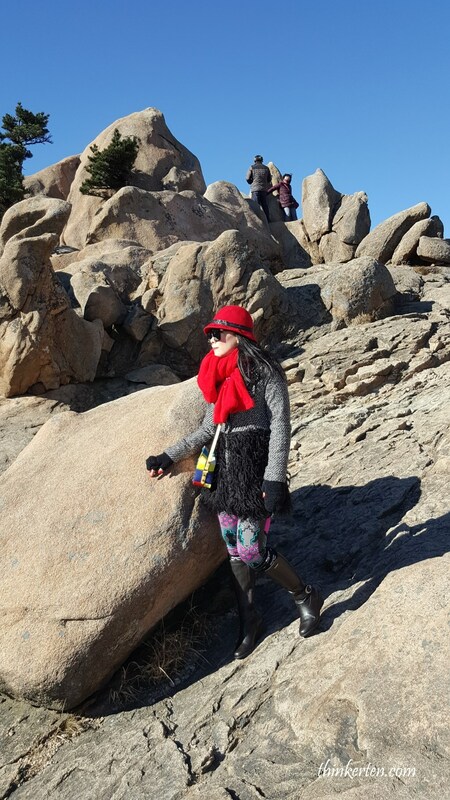 It totally relied on my balancing skill to walk on these rocky path. 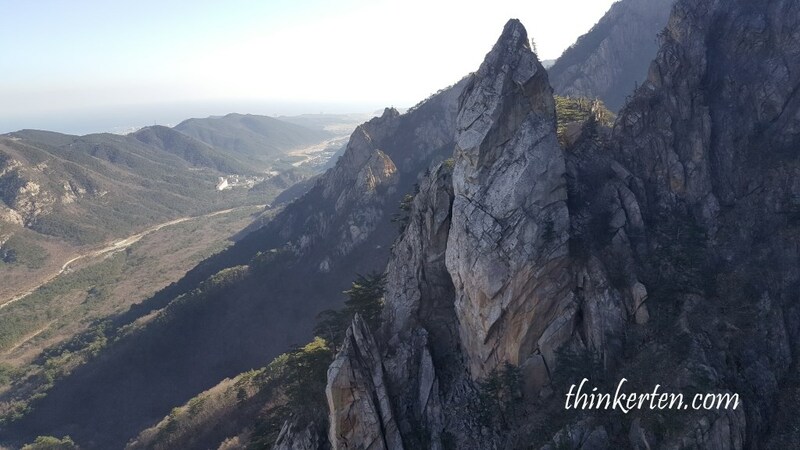 Luckily I was rewarded by the breathtaking view of Mt Seorak once on the top. Still need to be very careful in order not to fall over the cliff because there is no fencing. 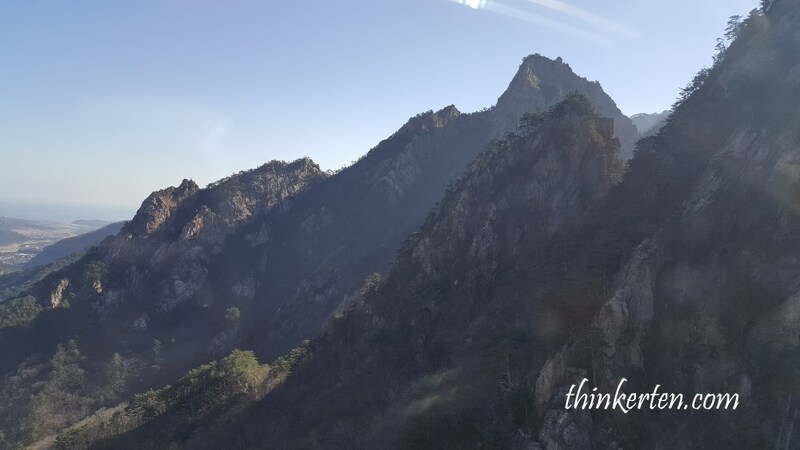 Seoraksan is the third highest mountain in South Korea. 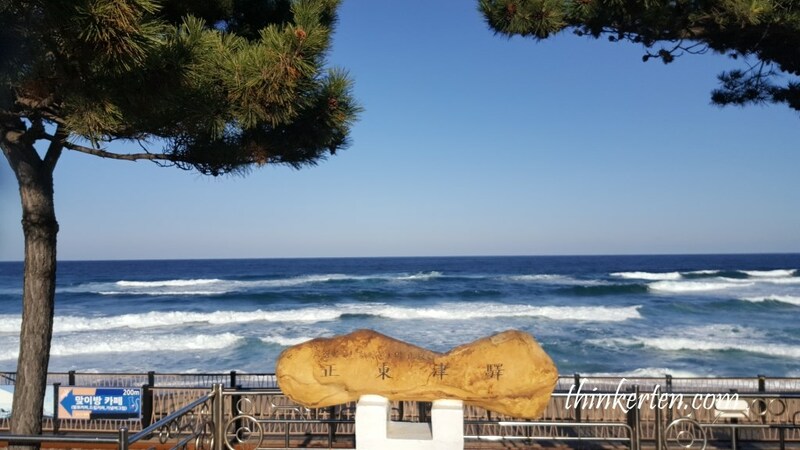 The autumn colors in the area are considered among the most beautiful in Korea. All flooded in to see the red and yellow forest in between these mountain. There were not any red leaves when we were there in the month of December. The mountain were pretty much bold but still looking very beautiful. We had some dipping dot ice-cream after the challenging mountain hiking. 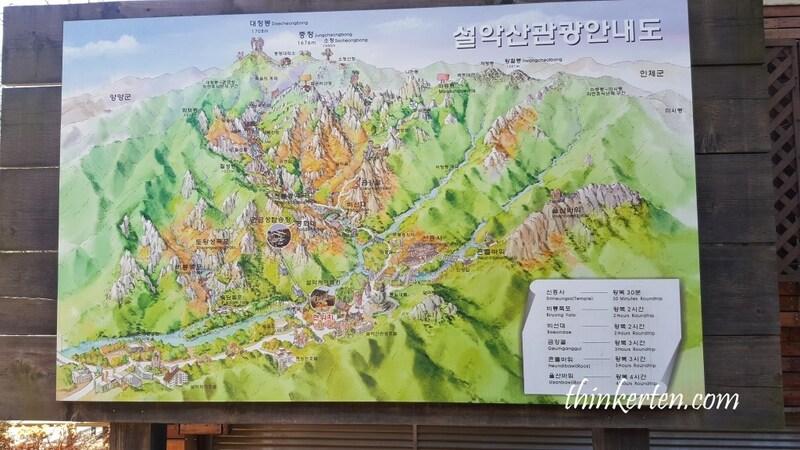 A map showing the Mt Seorak National Park. There is a vintage looking old train with bright yellow and green colors, located somewhere right after the entrance of the Mt Seorak. Good photo opportunity while waiting for the other tour members to arrive at the meeting point. 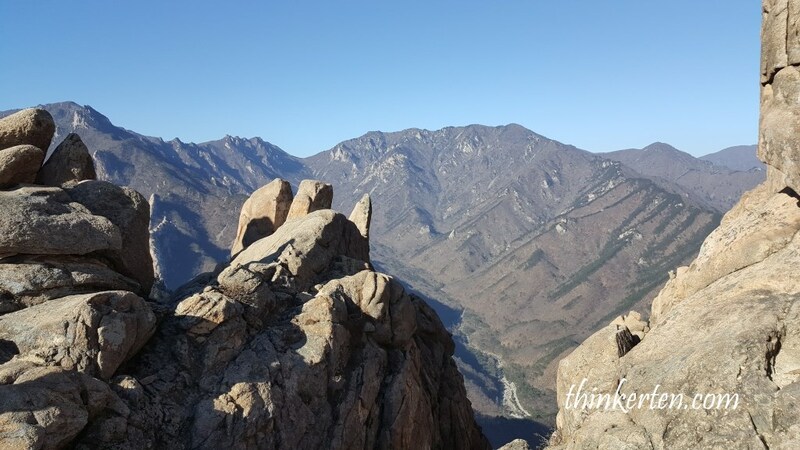 I was glad to have made it up the top of Mt Soerak – the mountains that Koreans love most which offer incredible rocky landscape. Lunch was Shabu shabu pork, it was always good to have some hot steamboat shabu shabu in the winter. Throughout our 8 days 6 nights in Korea, we did not get to taste the beef because the tour guide told us the beef is very expensive. It was ashamed we did not manage to try out the Korean beef because Korean beef tasted so delicious. Luckily I tasted the beef tail noodle and barbecue beef during my first visit 10 years ago. 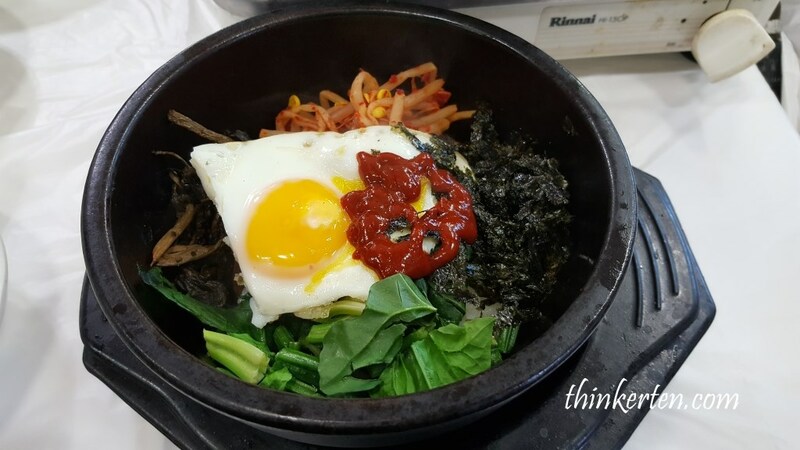 We also had the bibimbap/”mixed rice” served in warm rice topping with some vegetable, eggs and some meat in a very hot pot. We added in more Korean chili paste and stirred the hot dish together thoroughly before eating. Our tour guide told us Bibimbap was traditionally eaten during the eve of the Lunar New year as people then felt it was a need to get rid of all the left over food before new year. 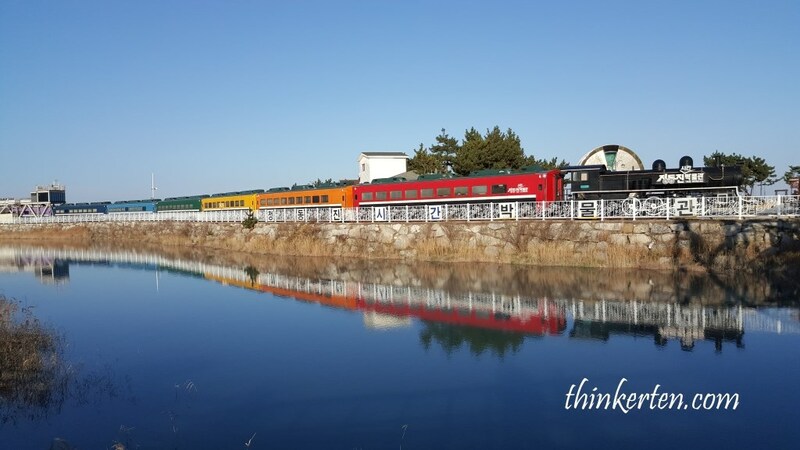 Jeongdongjin Railway is the most popular travel destination for the Koreans, especially among the youngsters and college students. 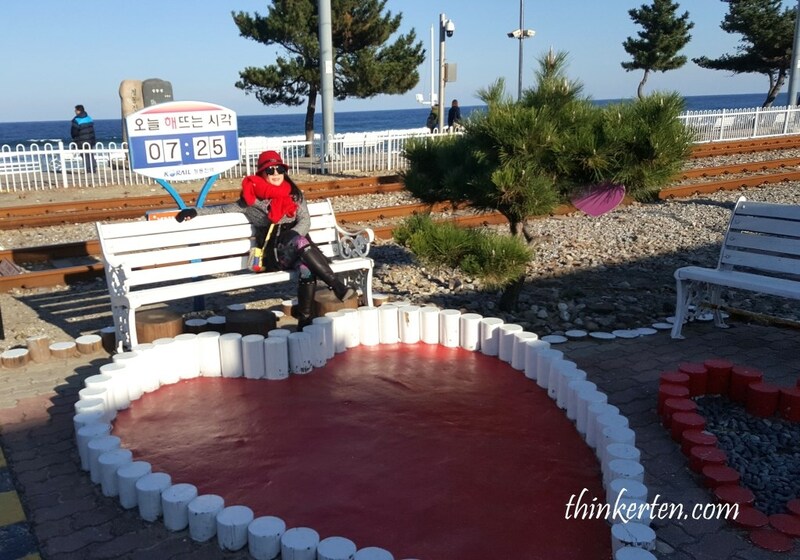 This is a unique area with an opportunity to take some interesting pictures, especially for couples. I heard it is a romantic place to see sunrise and thousand of visitors gather here to see the first sunrise in the new year eve. It was afternoon when we arrived here and there was no sunrise but I was able to get a glimpse of the beautiful horizon. This place get more popular after some Korean drama were shot here. station and tracks to a beach anywhere in the world. 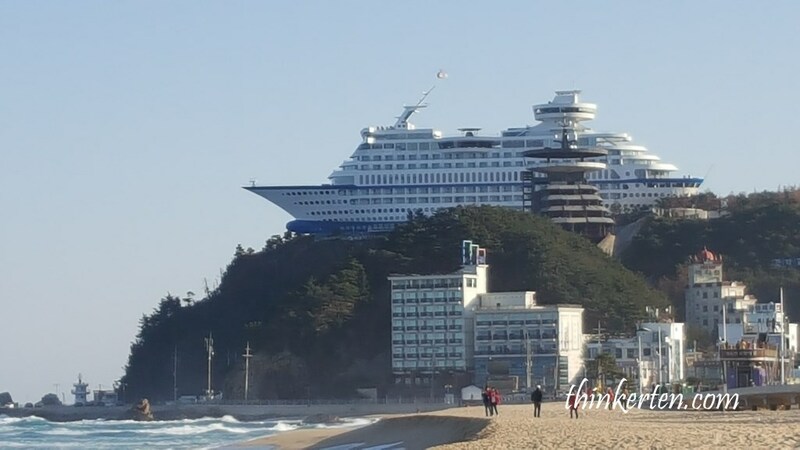 Cruise ship on the rock- it is actually the Sun Cruise Resort looks like it is teetering off the edge of a cliff but it’s really in ship shape. Once you leave the station you can see the ocean, walking along the beaches wasn’t that much fun as you would think. 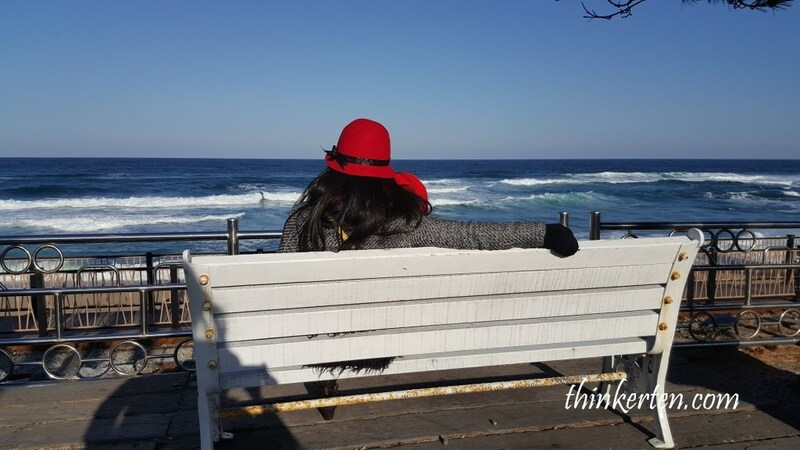 If you like beaches and freezing cold wind blowing on your face, this is the place for you. 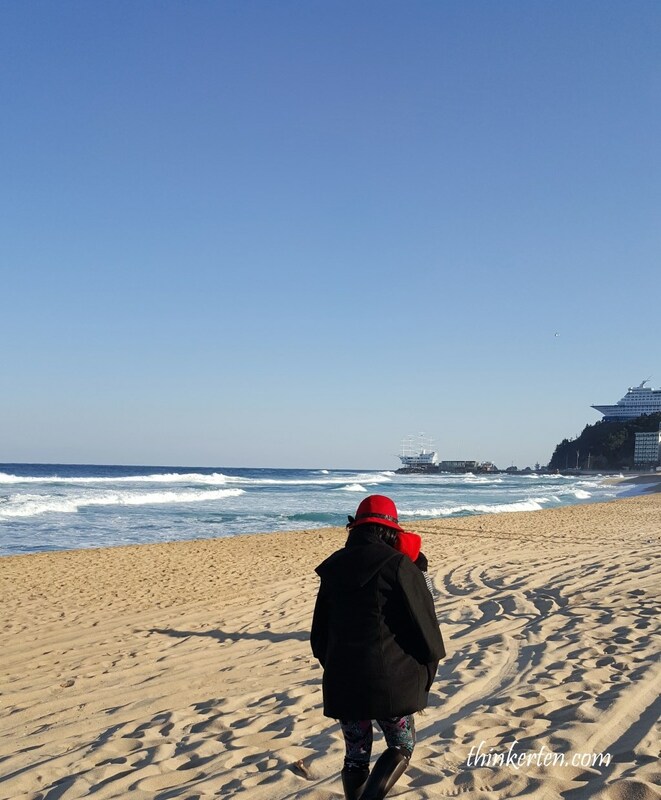 As for me, I was crawling slowly on the beach, luckily I was wearing long boots so sand were not able to get in. We arrived at the other end of the beach where there is a Millennium Hourglass, also known as sand clock. 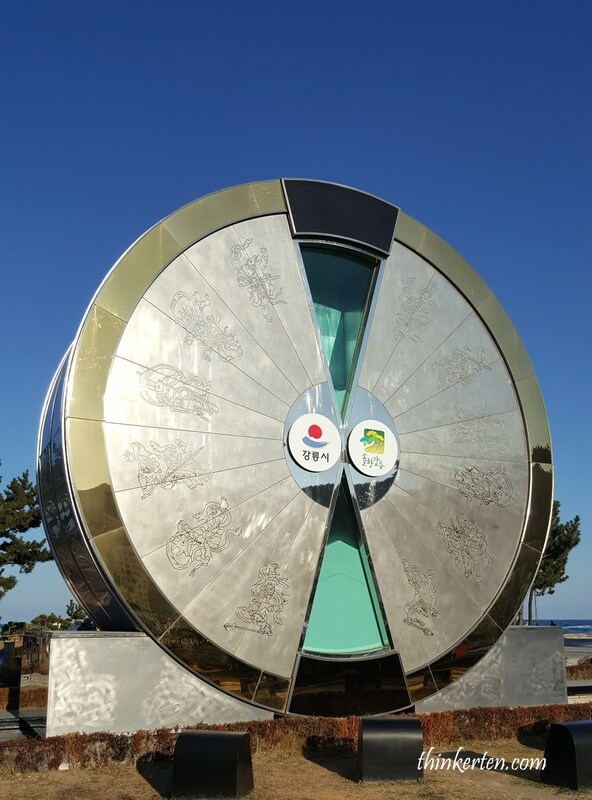 The Hourglass is made of stainless steel. Sand began trickling through it on the first of January, 2000, marking the time to the beginning of the new millennium on the first of January, 2001. The symbols around the clock are the Chinese zodiac signs. Across the bridge was our tour bus waiting for us at the other end. Taking few snaps with this beautiful bridge before we left this place. The colorful train was the Time Museum. Our tour guide did not arrange us to go in because the ticket was expensive and there is nothing much in the museum. It was enough for me to just take a beautiful picture of the Time Museum! Dinner was Galbi BBQ Pork. 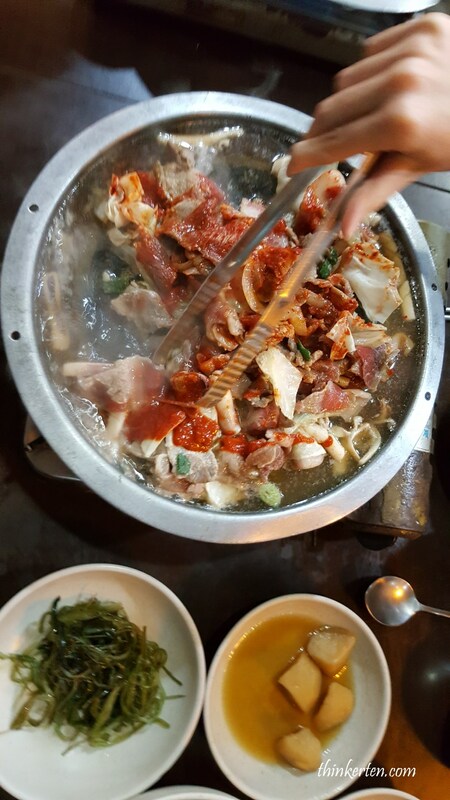 Galbi generally refers to a variety of grilled dishes in Korean cuisine that are made with marinated meat in a ganjang-based sauce (Korean soy sauce). 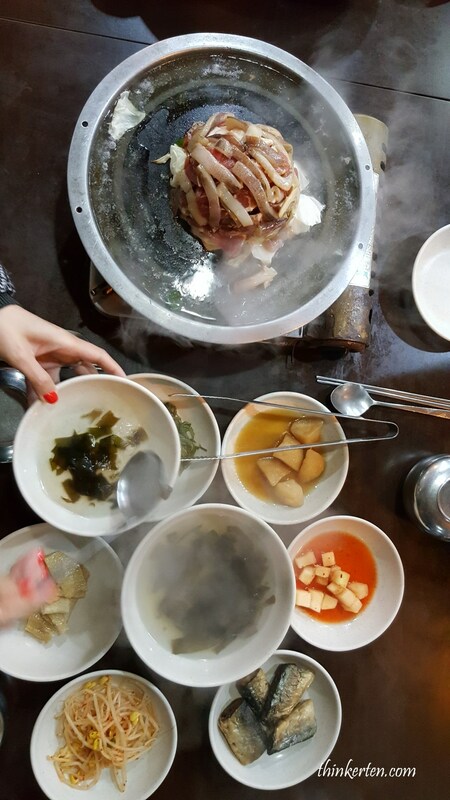 Ours was Galbi Pork and tasted so yummy. I simply love Korean dishes.